The quality of your artwork determines the quality of your decals. If your artwork is not of superior quality, we cannot guarantee the quality of results. Applicable charges will apply depending on the artwork provided. When a full color image is provided, full artwork charges will apply. If camera ready artwork is supplied, film charges will apply. If film positives are provided, and no additional adjustments required, no further charges apply. Camera Ready Artwork: Artwork that is ready to be reproduced into custom printed spot decals. Verify that artwork is in its original form and not copied, stapled or faxed. A quality laser printer output on a clean, white background is acceptable (with clean edges, a sharp black and white copy or drawing). A Film Charge will apply when camera ready artwork is supplied. Multi color artwork must be pre-separated. An Artwork Charge will apply unless camera ready artwork is supplied. A halftone is an image that contains a gradation (i.e. from dark to light or vice versa) or small dots. Resolution of 35 - 80 dpi, depending on color, please inquire. Minimum of 10% dot pitch. Separations are where each color of the image is "separated" onto a separate piece of paper. 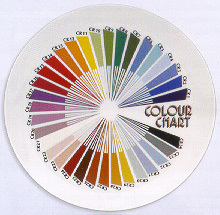 Each separated color must appear in black, and indicating the color of print. No overlapping of colors. (Colors Knocked Out) Except on fine lines. Trapping is required to minimize problems for closely registered spot colors. a 2 to 4 pixels (or .50 - 1.00pts) trap. Artwork will be adjusted to our printing technique. With the introdution of the computer, there are thousands of fonts (typestyles) available. If a particular font is required, please provide a copy or provide the name and we will do our best to match. Please provide film positive, emulsion up, to size. Available only for ceramic decoration on white substrates. Please inquire for specifications. Separations must be produced be Decal Craft. The nature of ceramics and glassware limits our color palette. Firing conditions and glaze may vary. Please indicate an approximate PMS value, and we will do our best to match. • Save Foreign Fonts as Curves(outlines) or provide them. Send us your artwork electronically. You can send us your artwork for preview (jpg format is acceptable), evaluation or quotation. Please attach file and fill in the required information. limitations to our color palette. 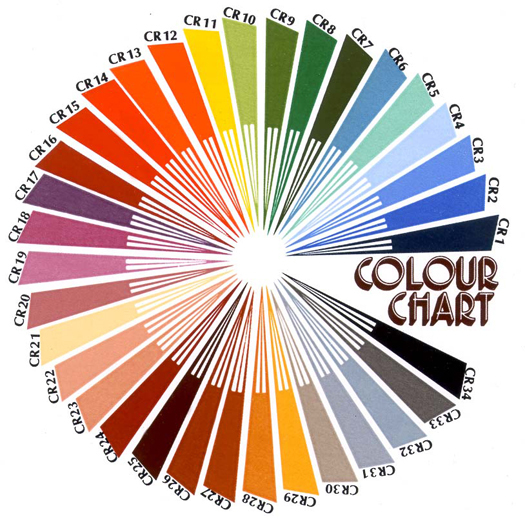 The colors you see are not a true representation of the printed color (reference only).